A couple of weeks ago, we had some friends in town and decided to hold a wine tasting to try to decide on what wines to have at our Wedding. I had a feeling we were going to be a little foggy the next morning, so I wanted something make-ahead and easy for breakfast the next day. This New York Breakfast Casserole screamed “Make Me!” the second I saw it. I made it ahead, it was super easy, and didn’t disappoint. Next time, I think I might want to add some cooked bacon bits into the mix to infuse into the casserole while it bakes. 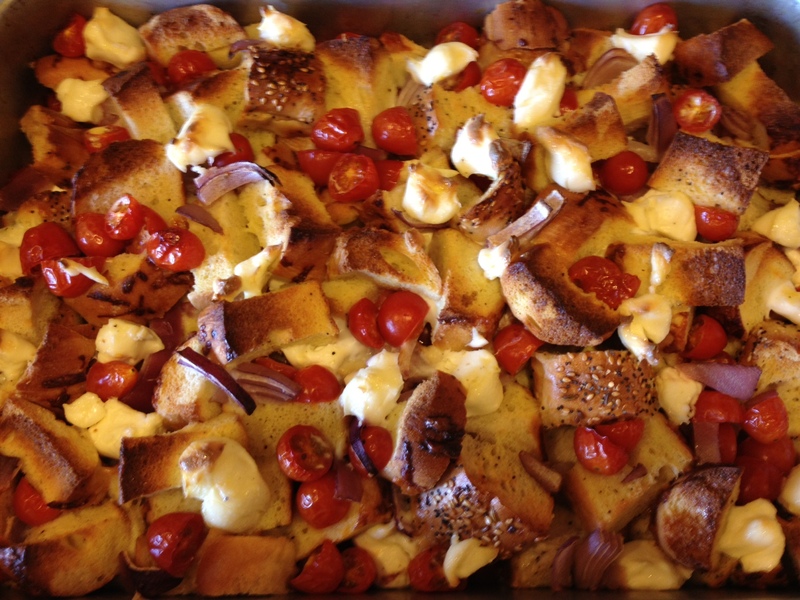 Spread a third of the bagel cubes in a 13-by-9-inch pan (or other 4-quart baking dish). 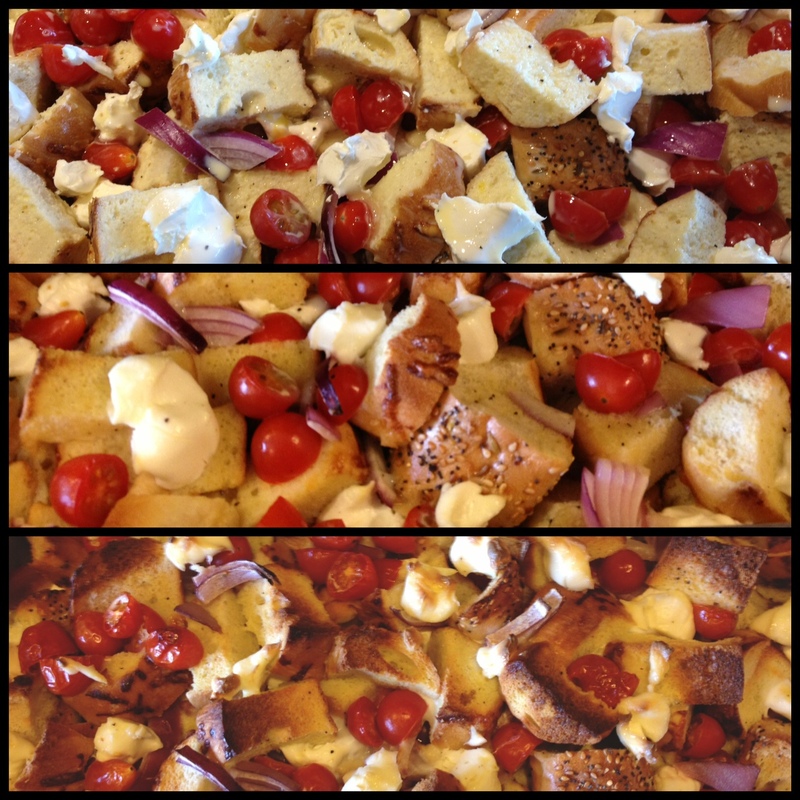 Dot the bagels with a third of the cream cheese bits and mix in the red onion and cherry tomatoes. Repeat in two more alternating layers. Whisk eggs with milk, salt and pepper. Pour over the bagel and cheese mixture. Cover tightly with plastic wrap and refrigerate overnight. Remove casserole from the refrigerator and preheat oven to 350 degrees. Bake on a tray, uncovered, in the middle of the oven for about one hour, until the casserole has puffed, turned golden brown and cooked through (a knife inserted into the center and rotated slightly shouldn’t release any liquid). Let rest 10 minutes before serving. Serve in big scoops with a sprinkle of capers and a side of lox or bacon. Perfect make ahead breakfast! Delicious with lox and capers!